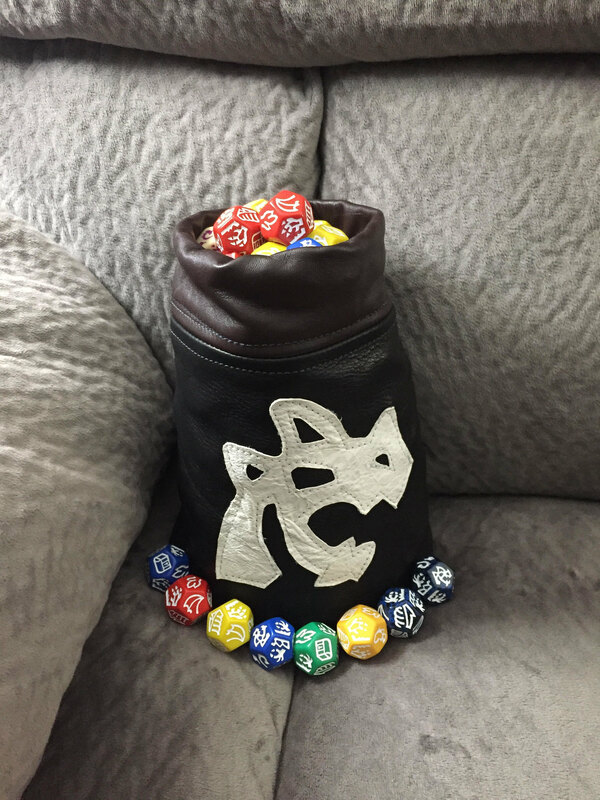 So my wife made me this awesome Dragon Dice™ bag from leather. In the photo it is holding 290 dice ... a bit much for the bag. I surmise it could hold 2 60 point armies with terrains, Dragons, and side board. That's a fantastic bit of work. I"m jealous. Oh wow, I really like that a lot. I'm late to the party with this one, but WOW! That is beautiful.